Summer is well and truly here, and while the annual forecast of Leaving Cert weather sort of failed to materialise so far, there’s still plenty of time to enjoy the balmy days, dry evenings of al fresco drinking and swimming in the sunlight-induced positivity that summer days supply. 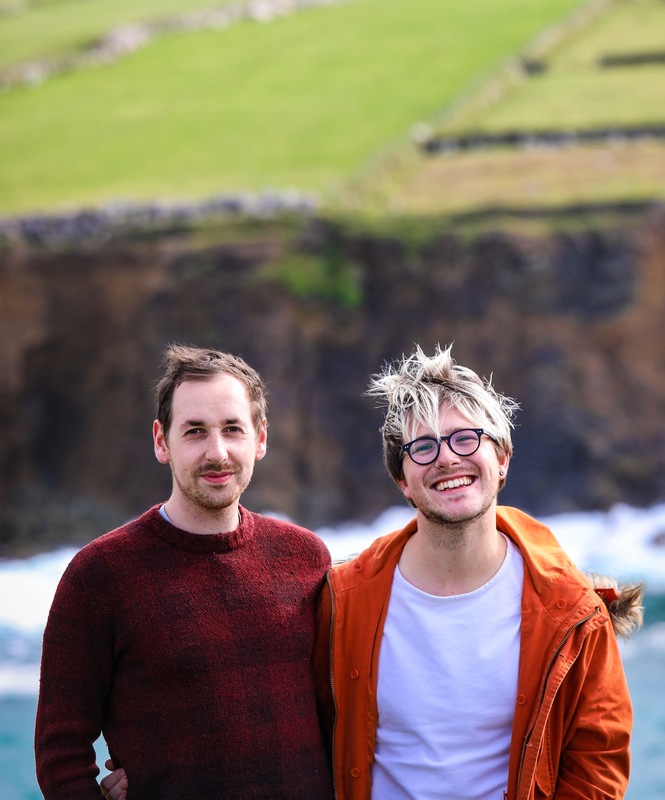 Everyone loves that proper summertime experience of being outside eating and drinking, whether it’s bags of cans at the Barge or busting out the BBQ surrounded by good friends and immersed in great craic. So this weekend we’re forecasting all of the above as, on July 1st and 2nd, the Mecca of meat and craft beer festivals Meatopia lands in Dublin for a super special one-off pit-stop right within the grounds of Ireland’s most famous brewery, Guinness. 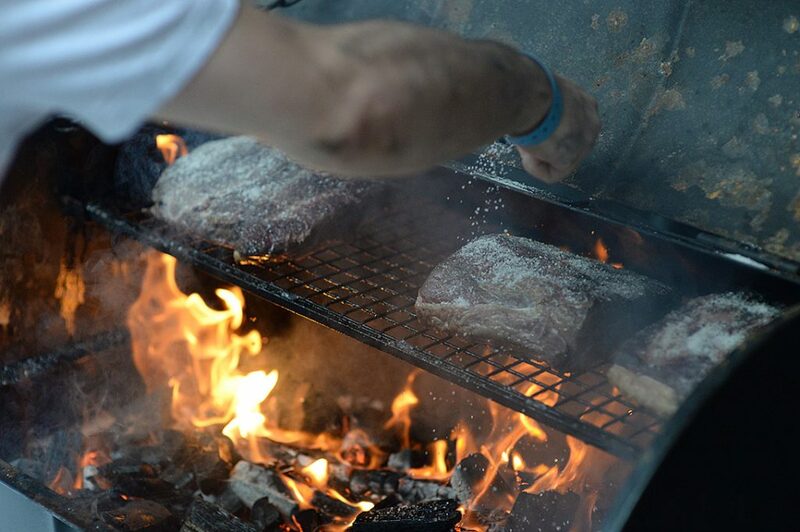 Dublin, get ready: Guinness X Meatopia is set to land! 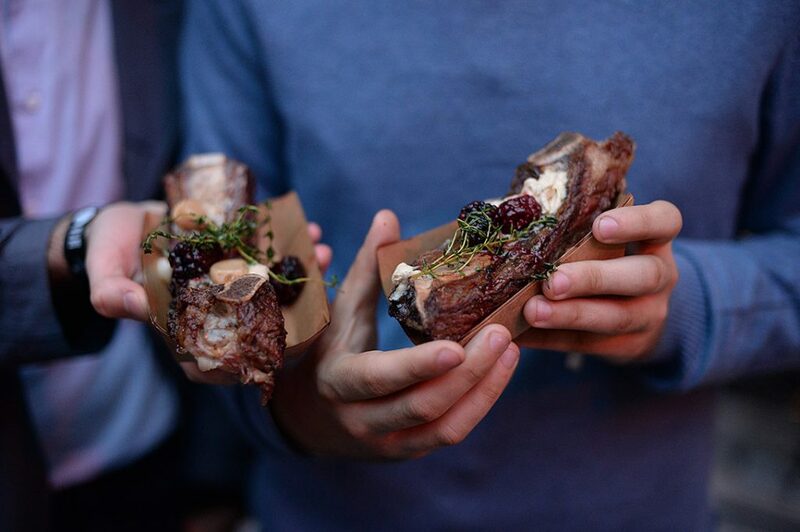 From its beginnings in NYC to making a mean, annual stamp on the London food scene, Meatopia now lands for one weekend only in the Irish capital with its two-day celebration of meat and beer. Cooking the most delicious and sought-after Irish meat over smoking flames with ice cold craft beers flowing, coupled with the mightiest craic and live music, the whole shebang is housed within the historic home of the black stuff right by the banks of the Liffey. Set in the stunning surrounds of Dublin’s original experimental craft beer bar, the Open Gate Brewery – once a myth, a brewers-only, experimental craft beer club which is now finally open to the public – Guinness will bring six hugely talented chefs to its home, each commanding one of six open fire pits to cook up a storm with the best of Irish ingredients – naturally! Tickets are running out fast, so if you needed any more convincing, read on to have your arm twisted on why you should your weekend at this meet and beer love-in. Be sure to scroll to the end of the page to enter our exclusive competition for tickets to Sunday at Guinness X Meatopia (you won’t find any other bloggers with these tickets!) Keep reading and you’ll find the answer to the question below – promise! Beers, burgers, bants and beats – a perfect combination, if you ask us. 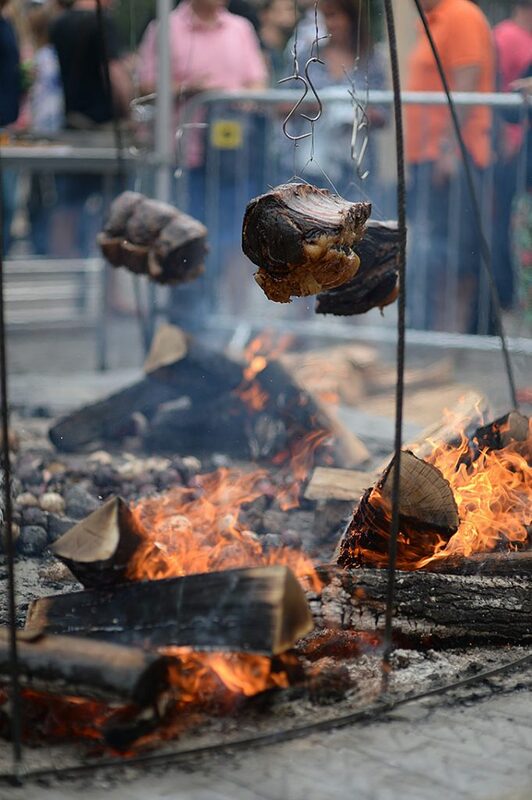 Guinness X Meatopia is truly set to be like no other food festival to ever hit the streets of Dublin. Forget sloppy rubber hot dogs in floury buns and lukewarm beers in a bucket; this is next level BBQ. But aside from the incredible food and beer (which we’ll get to…), there’s butchery demonstrations before your very eyes, panel discussions with the masters behind the Guinness magic, meet the craft brewers sessions and insights from the most knowledgeable food experts, as well as live musical performances and DJs throughout the day. Flying in from the world over, the most incredibly talented chefs will descend upon Dublin 8 and put their skills to work harnessing the incredible power of those flickering flames. You want names? They’ve got ’em: Niall Davidson, the London-based Irish grill master and veteran of London Meatopia; Selin Kiazim from London’s hugely acclaimed modern Turkish restaurant Oklava; Angie Mar from New York; Jowett Lee from Hong Kong and more! Out of their respective kitchens and in the open air before naked flame. Sweat. Blood boiling. Sizzle. Char. The real deal only here, folks. Similar to one of our favourite restaurants, Ekstedt in Stockholm, you won’t see electricity or gas used here. Dublin’s never had this before, least of all in the thick of the city centre! We’ve all been to festivals and events where the quality of ingredients is entirely questionable yet bypassed in lieu of convenience. Needless to say, Meatopia is the polar opposite – we remember precisely the level of attention and care at the London outpost of this fest. 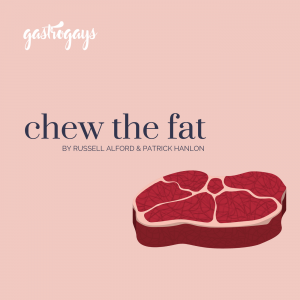 In Dublin this weekend, the meat will come from an ethically sourced 7 year-old Galloway cow, finished on fermented Guinness grain and aged for a whopping 45 days in Kettyle Irish Foods salt chambers near Enniskillen, Northern Ireland. Even the feckin’ logs for each of the pits are ethically sourced for peat’s sake (from Lord Logs, otherwise known as Mark Parr form London Log Company, if you were asking). 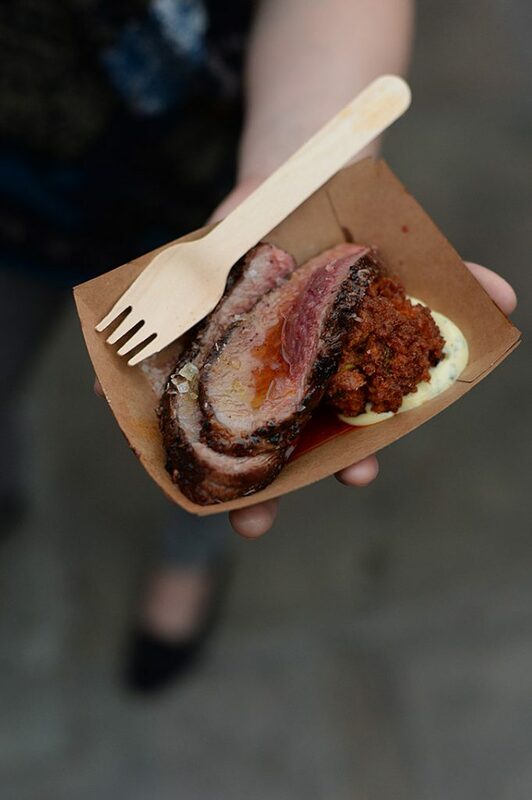 Don’t worry, Guinness X Meatopia knows just how to treat Dublin’s discernible foodie crowd. Us Irish are blessed with having the most fantastic, wet, lush green fields for cattle to roam on, giving us an incredibly sky-high standard of Irish beef with impeccable flavour. Namecheck the world’s top restaurants and you’ll regularly find Irish beef on the menu for its monumental merits. And what Irish beef does when it’s licked by open flame is nothing short of sensational. Trust us. The challenge set for every chef participating is to create something bespoke and exclusive that’s not found on their restaurant menu, so you’ll never get the chance to try these combinations again. Pretty special, right? 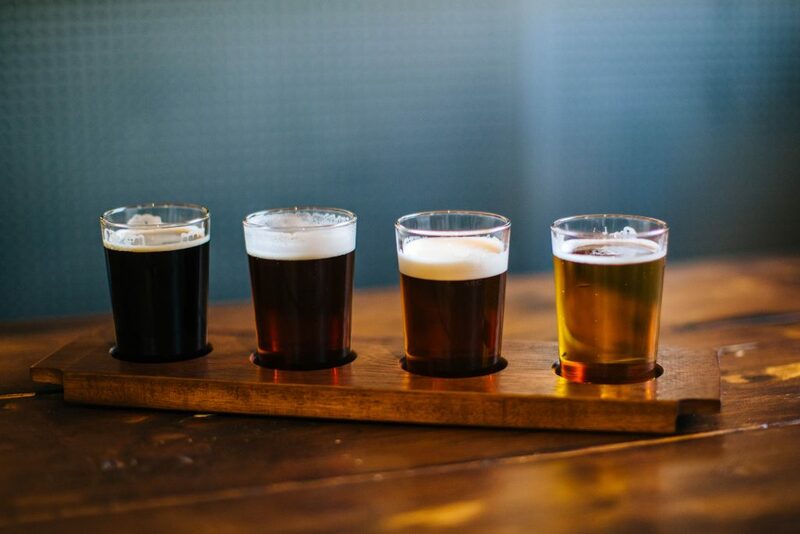 For those sceptical about beer and food pairings: Every dish you’ll try (which is every dish available – who are we all kidding?) will be paired with a beer from one of the brewers (keep reading below to find out who), chosen precisely for that delicious paso doble the meaty dishes from the coals and the sweet nectar from the kegs will do over your tastebuds. 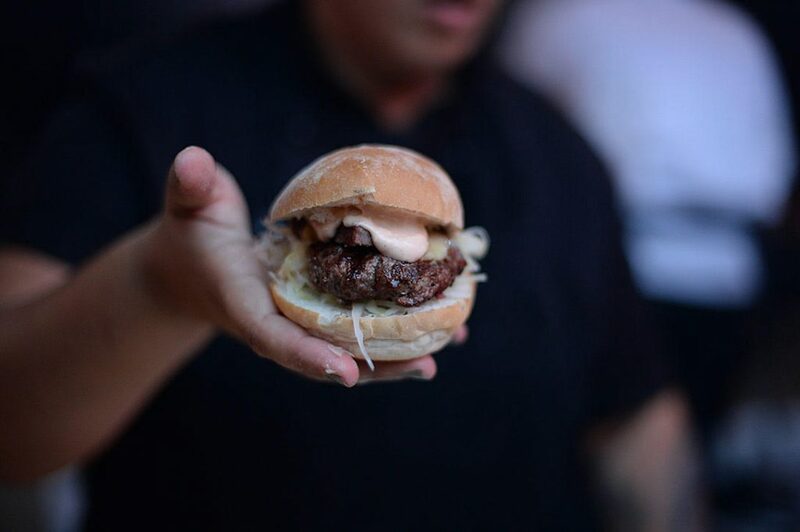 From the hipster-lined banks of the Hudson to the buzz of East London’s Tobacco Dock, Meatopia has not only gained a cult following since its 2010 debut in the States, it’s now becoming more and more international. 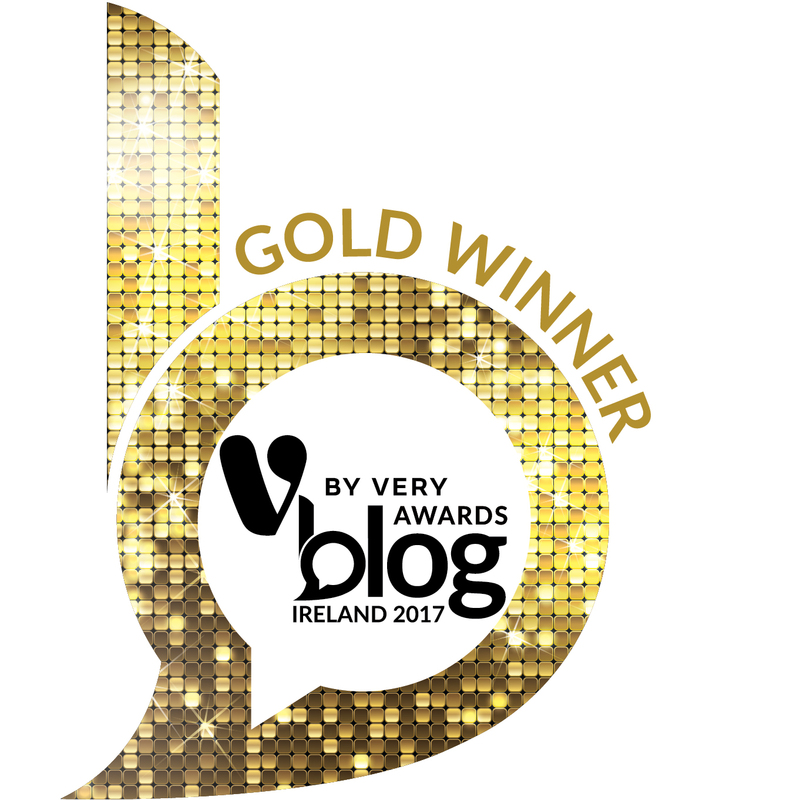 So it’s a bit of a coup that for this year only (in it’s third ever location), it’s actually arriving in Dublin *before* the annual event in London. Three months prior, in fact. Street food has not taken off in Dublin, let alone Ireland, to the extent that it has in the States and UK. Something just hasn’t clicked, even if there’s a voracious appetite for it. This weekend is going to change that, mark our words. So we can’t guarantee that Dubliners who delve into their first taste on home soil won’t want to book a ticket, board a flight and free up some belly space for the London edition on 1-3 September. Don’t hold us accountable. 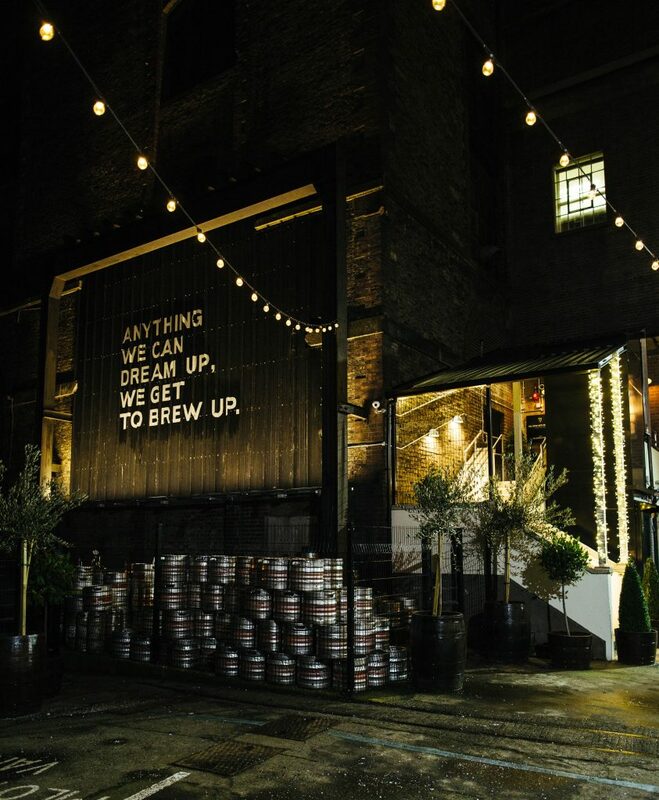 Guinness X Meatopia is so much more than just meat. Brewing is big business here too. Beer som-ale-ier, Guardian contributor and drinks author Melissa Cole will be in situ taking a form of Craftopia to the Open Gate to host the beer side of the festival. By the way, this whole event isn’t a form of press release from Guinness following it’s popular recent foray into craft-style brewing. 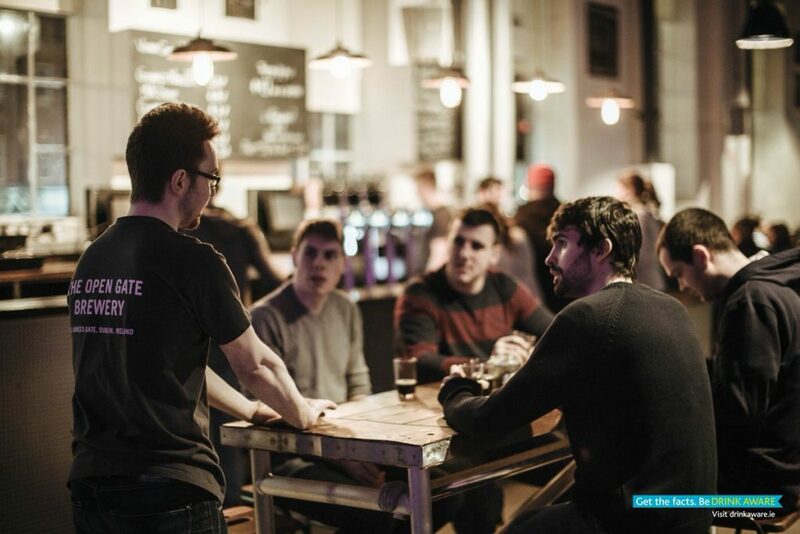 From across the UK & Ireland, hand-picked independent breweries such as Five Lamps, Dublin Dot, The Porterhouse Brewing Company and 40 FT will all be present and correct too! More beer for your buck!